The latest developments from the US and everything else you need to know as you head into Thursday. 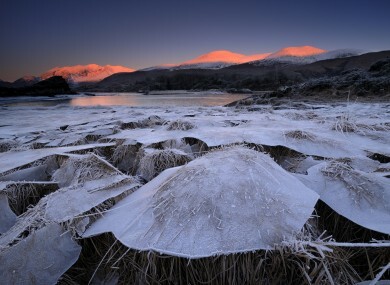 A winter sunrise in Killarney National Park, Kerry. 1. #PROTESTS: Thousands of protesters rallied across the United States overnight expressing shock and anger over Donald Trump’s election. “People are justly frightened,” one organiser said. 2. #THE CALL: Enda Kenny had a ten minute phone call with US President-elect Donald Trump last night, the Government Press Office has confirmed. The Taoiseach confirmed that Irish leaders will be invited to the White House next St Patrick’s Day. 3. #THE REACTION: From ‘What have they done?’ to ‘American Psycho’, the world’s newspapers have come up with some pretty dramatic headlines in response to Trump’s shock election. 4. #TRAM CRASH: The death toll from yesterday’s tram crash in London has risen to seven. Fifty people were injured. 5. #MEMOGATE: A HSE memo which said nurses could remove patients from beds “as trespassers” has been described as “utterly offensive and unacceptable” by Minister for Health Simon Harris. The memo has been rescinded. 6. #PYTHON: In Canada, a jury has acquitted a pet shop owner whose python asphyxiated two young boys in 2013, the BBC reports. 7. #THE RISING: Some 136 new office buildings are being planned for Dublin over the next five years, according to a new report by property consultants Savills Ireland. 8. #WINTER IS COMING: The Government is to stock up on 240,000 tonnes of salt in preparation for the winter months ahead. It held its Be Winter Ready launch yesterday. 9. #THE OUTLOOK: Today will be cool, bright and breezy, according to Met Éireann. Highest temperatures of 8 to 11 degrees.